Professor Jayant Vaidya is a breast cancer expert who specialises in the diagnosis and treatment of diseases of the breast. He currently divides his time equally between research and clinical work. He is a Consultant Surgeon at the Whittington, Royal Free and University College London Hospitals. He is extremely active in many research projects for breast disease and breast cancer. With his PhD thesis at University College London, he pioneered the concept of targeted intraoperative radiotherapy (TARGIT or IORT), to deliver radiotherapy to women at the time of surgery rather than the traditional 6-week course of daily post-operative radiotherapy. He has been featured on BBC’s Tomorrow’s World in relation to this. He qualified in surgical oncology (MBBS MS DNB) from the Bombay University and the National Board. His PhD is from London University and he is a Fellow of the Royal College of Surgeons, FRCS, UK. At the age of 17 he was declared a National Scholar and received a scholarship throughout his medical education. His clinical practice has been busy. He has long experience in all aspects of breast surgery including lumpectomy, wide local excision and quadrantectomy with glandular remodelling for breast cancer, sentinel node biopsy / axillary sampling, axillary clearance, and targeted intraoperative radiotherapy (TARGIT IORT). He works in conjunction with expert plastic surgeons for breast reconstructive surgery. He is well versed with multidisciplinary approach to breast cancer treatment and works very closely with a renowned team of medical oncologists, radiotherapists, radiologists and pathologists, as well as specialists in psychosocial care. 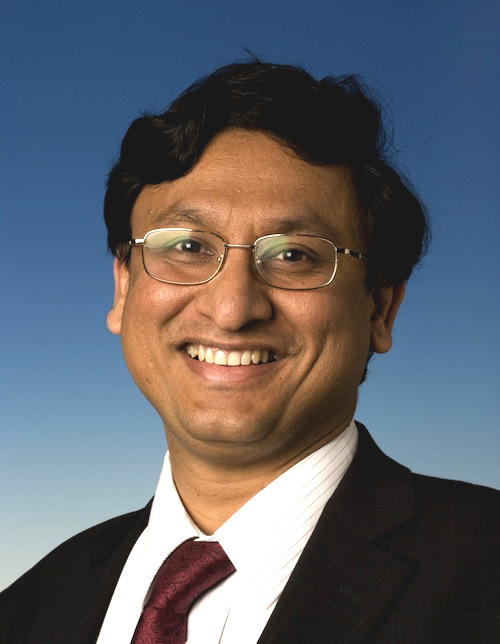 Professor Vaidya is considered a world opinion leader in breast cancer. He has over 200 original publications on varied subjects, and has given over 150 invited talks, including the European Breast Cancer Conference (EBCC), European Cancer Conference (ECCO), Milan breast cancer conference, American Society of Radiation Oncology (ASTRO), American Society of Clinical Oncology (ASCO-Breast), San Antonio breast cancer conference. He has been invited to contribute to several books on breast cancer including Fast Facts breast cancer, and Fast Facts Early Breast cancer . He has also featured in Time Magazine and Reader's Digest. His main research interest is understanding the natural history of breast cancer and how to treat it with maximum effectiveness and minimal harm. His work on TARGIT IORT was inspired by his original laboratory work in 1994-5, that led him to the idea that breast cancer treatment with surgery and radiotherapy needs to be focussed and targeted. Working with Professor Michael Baum and Professor Jeffrey S Tobias, he developed the concept, tools and the surgical operative procedure to give targeted intraoperative radiotherapy to the tissues immediately around a breast cancer, after it is surgically removed. He called it TARGIT- for TARGeted Intraoperative radioTherapy.